The Bagots of Blithfield are one of the oldest established families in Staffordshire. 'Bagod' is recorded in the Domesday book as having land holdings near Uttoxeter. In the 12th. century they established their land holding in Abbots Bromley and added Blithfield to it by marriage in the 14th. Century. They were a very distinguished family and many Bagots held positions in the courts of successive monarchs. 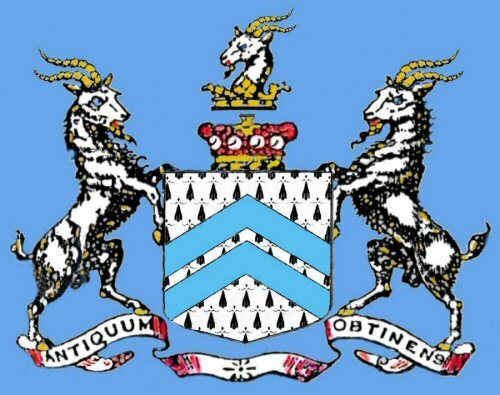 In 1780 the then Sir William Bagot accepted a peerage and became Baron Bagot of Bagot's Bromley. In 1322 Robert DeWasteney sold the smaller manor in Colton called Little Hay to Richard de Blithfield. When Elizabeth de Blithfield married Sir Ralph Bagot. 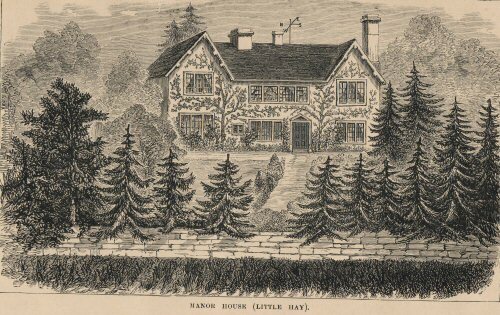 Little Hay Manor in Colton became part of the landholdings of the Bagot family and remained so until the mid 20th. Century . Through the centuries one or other of the younger sons of the Bagots would live here such as Anthony Bagot in the 17th. Century but mainly it was tennanted. The Manor court for Colton was held at Little Hay presided over by the Bagots and the family have taken an active part in the affairs of Colton through the centuries.